"I wish we'd met in better circumstances." 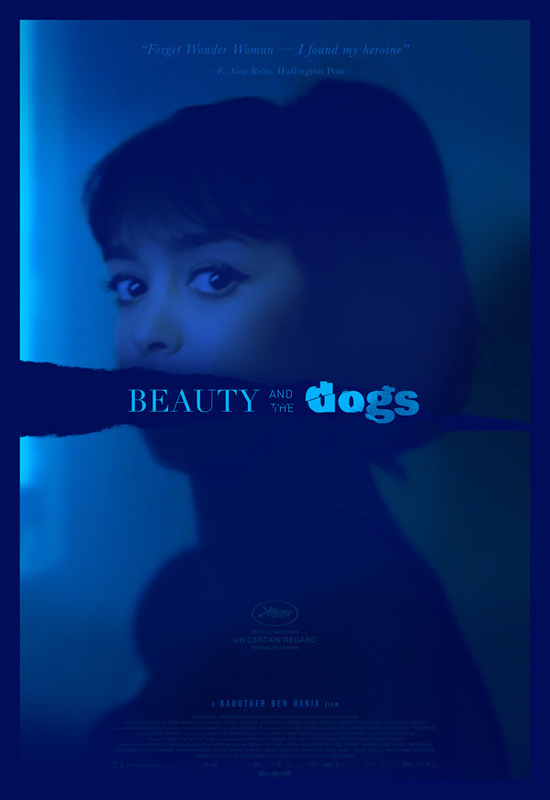 Oscilloscope Labs has debuted an official US trailer for a highly acclaimed film titled Beauty and the Dogs, which premiered at last year's Cannes Film Festival to rave reviews from critics. Made by Tunisian filmmaker Kaouther Ben Hania, the film is presented as a number of various long take shots, without many cuts in total. Beauty and the Dogs tells the story of a young Tunisian woman who is raped by police officers on her way home from a party, and looks back at the events of the evening. Newcomer Mariam Al Ferjani stars, with a cast including Ghanem Zrelli, Noomen Hamda, and Mohamed Akkari. The film is a very bold, raw, unapologetic look at the abhorrent culture of victim-shaming, conservative morality, and male hypocrisy prevalent in society today (and specifically in Tunisia). I heard so many friends raving about this film at Cannes, and I'm planning on watching it as soon as I can. When Mariam, a young Tunisian woman, is raped by police officers after leaving a party, she is propelled into a harrowing night in which she must fight for her rights even though justice lies on the side of her tormentors. Employing impressive cinematic techniques and anchored by a tour-de-force performance from newcomer Mariam Al Ferjani, Hania's Beauty and the Dogs tells an urgent, unapologetic, and important story head-on. A rare, startling film from a female Tunisian director, it’s a striking critique on a repressive society and a forcefully feminist rallying cry. Beauty and the Dogs is directed by Tunisian filmmaker Kaouther Ben Hania, of the films Zaineb takrahou ethelj and Le challat de Tunis previously. The screenplay is also written by Kaouther Ben Hania. This premiered at the Cannes Film Festival last year. Oscilloscope will open Beauty and the Dogs in select US theaters starting March 23rd, 2018. Thoughts?